DJ NORI We Don t Know EP vinyl at Juno Records. 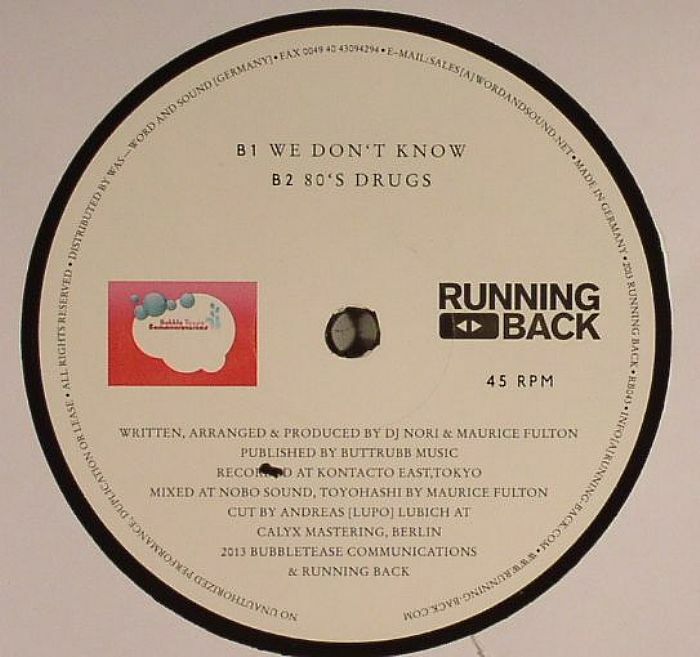 Gerd Janson and Maurice Fulton continue their mutually beneficial partnership with this Running Back 12" edition of DJ Nori's wonderful Bubbletease debut We Don't Know. 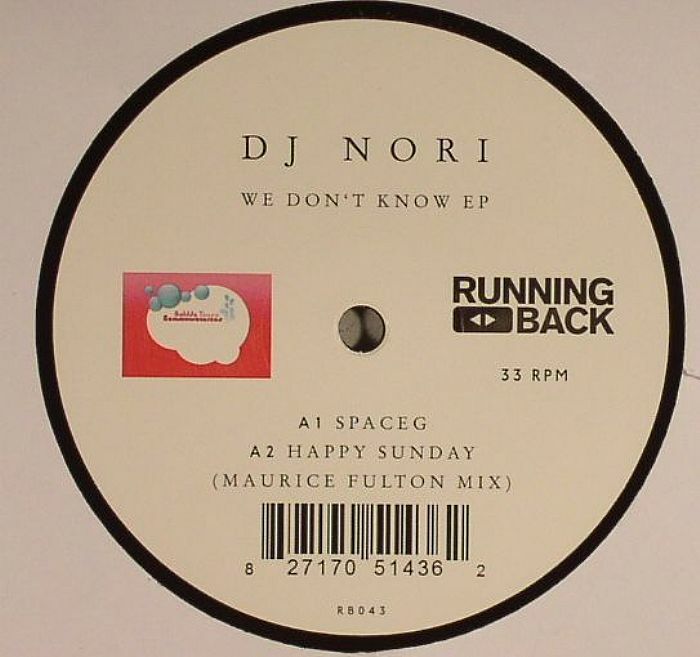 Originally released digitally earlier this summer, Nori's four tracks were co-produced by Fulton and, as with anything that blessed with Maurice's touch, are predictably excellent. There's a touch of melancholic, acid-flecked stargazing in the shape of "Spaceg" (all heady synth melodies, fuzzy bass and 808 cowbells), some out-there, beatless space calypso (the unwieldy "We Don't Know"), and a mighty chunk of Syclops-ish wonk-jack ("80s Drugs"). Oh, and a moody, Detroit-influenced Fulton remix of "Happy Sunday" that breaks into a space disco jam near the end.